New York residents are protected by federal and state laws from receiving harassing telephone calls. According to Lawyers.com, state and federal laws define telephone harassment as any act in which another person attempts to harass or threaten another through telephone calls. Conviction of telephone harassment will result in imprisonment and/or fines. Callers are prohibited by New York Penal Code 240.30 from making threats or uttering obscenities over the phone. A caller can be charged with phone harassment if she deliberately fails to identify herself to the person on the other end of the line, breathes heavily over the phone or remains silent. Harassing calls may also be made using electronic or mechanical devices. Robocalls, according to the Federal Trade Commission, are "prerecorded commercial telemarketing calls." A caller who harasses another by making robocalls is in violation of the penal code. Phone harassment is bumped up to a felony charge when the defendant has previously been convicted of a similar charge. The elevated charge is punishable under New York Penal Code Section 240.31. Phone harassment falls under New York's aggravated harassment in the second degree statute, a Class A misdemeanor. Repeat offenders may be charged with aggravated harassment in the first degree, a Class E felony. Class A misdemeanor phone harassment is punishable by a prison sentence of up to one year and/or a fine of up to $1,000. Class E felony phone harassment is punishable with a prison sentence of up to four years and/or a fine of up to $5,000. Consumers who have been victimized by phone harassment can file a complaint with the New York State Attorney General. Complaints made to the Attorney General's Office must be made in writing and contain complete details of the charge. Complaints will be forwarded to the department's Annoyance Call Bureau, which is handled by Verizon. Verizon, formerly known as New York Telephone Company, handles the Annoyance Call Bureau (ACB) for the New York Attorney General's Office. The ACB helps the consumer find the source of "annoying and harassing calls" and forwards that information to local police departments. The investigation may require placing a trace on the line, but the consumer must first file a complaint with the local law enforcement agency. Based in Salt Lake City, Terri Ellefsen has written for print and Web media since 1977. Her articles have appeared in "Fairways Magazine" and "The Salt Lake Tribune," where she covered police, courts, education and government. She regularly writes content for business and golf websites. Ellefsen, Terri. "New York State Telephone Harassment Laws." 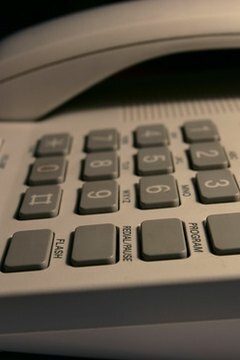 , https://legalbeagle.com/6298891-new-state-telephone-harassment-laws.html. Accessed 19 April 2019.